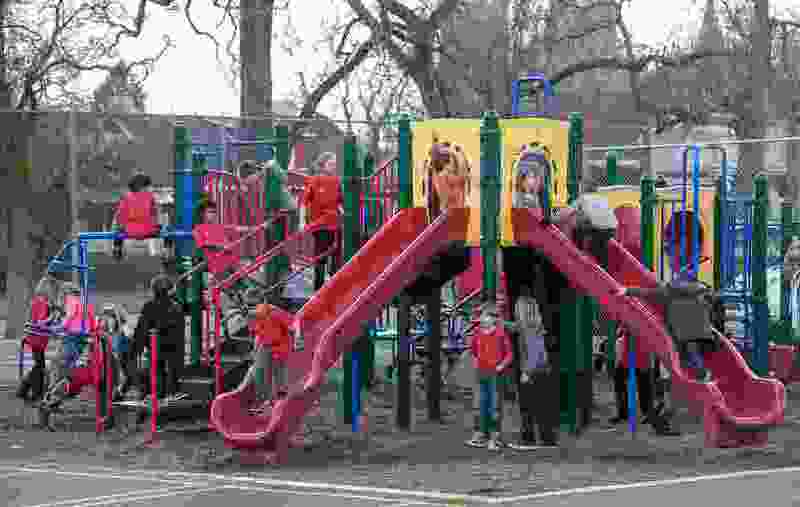 (Francisco Kjolseth | The Salt Lake Tribune) At Open Classroom Charter school in the avenues, students play various games during recess. Utahns should vote for Question 1 to deliver much-needed resources to Utah classrooms. Question 1 is a nonbinding referendum on the ballot for a 10-cent increase in the gasoline tax, which goes to fund roads. The idea is that if we bring in more tax money for roads, we can spend more on schools. It’s clunky. The Utah Legislature brought forth Question 1 as part of a negotiated solution with Our Schools Now, a business-led group formed to address Utah’s last-in-the-nation school funding. Despite Utah’s sizzling economy, leaders in industry see a coming reckoning as virtually all work will require more sophisticated minds. After years of watching the Utah Legislature skimp on its largest and most important government expenditure, Our Schools Now came forth with an aggressive formula for raising sales and income taxes to provide more than $700 million annually to schools, enough to actually raise Utah from the basement of per-pupil spenders. It also included specific language to target the new money at classrooms, not administration or buildings. They took that formula to the streets in the form of a initiative petition, and the public responded with more than 100,000 signatures from people who wanted it on the ballot. The initiative also was polling above 50 percent when the legislative session started in January. When the dust settled, the agreement came down to two parts: a) a change in statewide property tax collection that will add more than $200 million for schools, and b) Question 1, which would raise another $100 million or so for schools by increasing the gas tax. It was about half the money of the original petition, and a third of that still has the chance of losing in November. Despite widespread support, from Gov. Gary Herbert to the Utah Education Association, Question 1 has fared a little worse in polls than the original initiative. Proponents have struggled to sell a not-exactly-progressive tax on fuel. Make no mistake. Utah schools need this money, even if Question 1’s formula is bassackwards. Properly targeted, education dollars are less expenditure than investment, one that returns many more dollars over an educated person’s lifetime. We can and should debate how to make our schools better and more efficient. But one thing is clear despite a lot of rhetoric to the contrary: The billions Utah now spends on public education are not enough to keep us on top. A gas tax for schools? If we want to keep rolling, we need to keep learning. Vote Yes on Question 1.